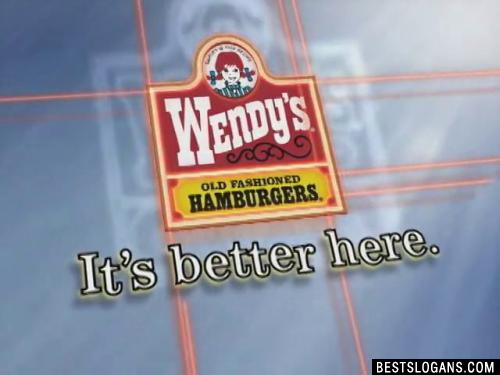 5 new entries added to wendys slogans, that include pictures. 1. Its better than fast food...Its Wendys. 1 Its better than fast food...Its Wendys. 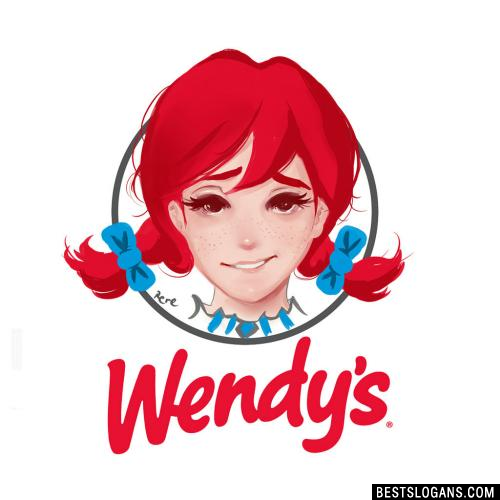 3 Wendy's. Quality is our Recipe. 4 Do what tastes right. Can you think of a good Wendys Slogans we're missing? Or come up with a clever one of your own. Please share below.